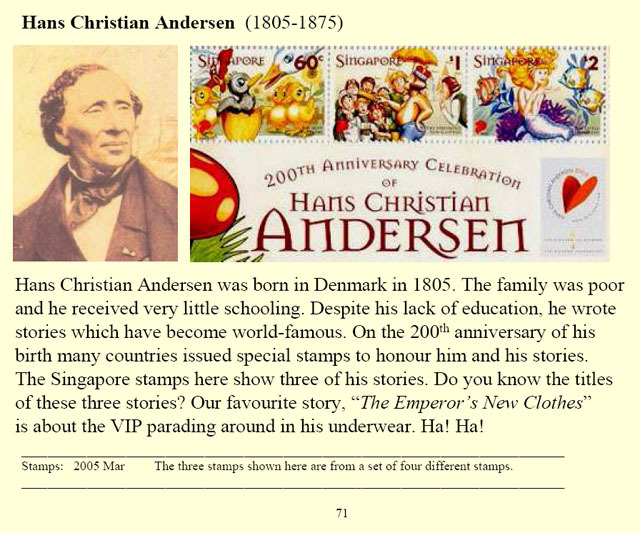 Hans Christian Andersen was born in Denmark in 1805. The family was poor and he received very little schooling. 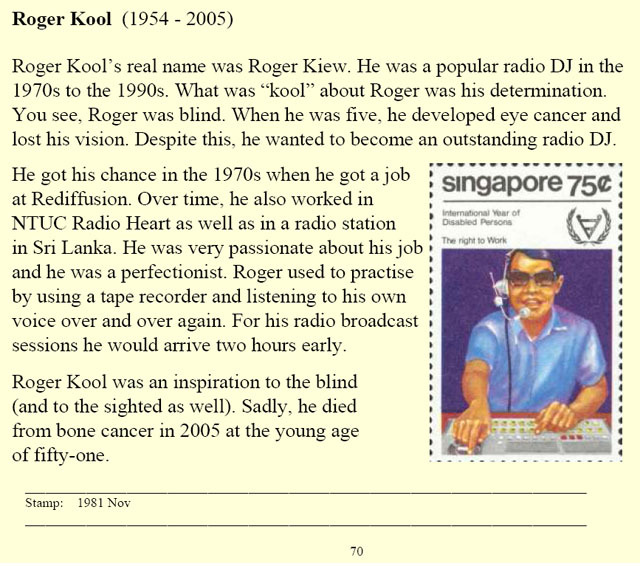 Despite his lack of education, he wrote stories which have become world-famous. On the 200th anniversary of his birth many countries issued special stamps to honour him and his stories. 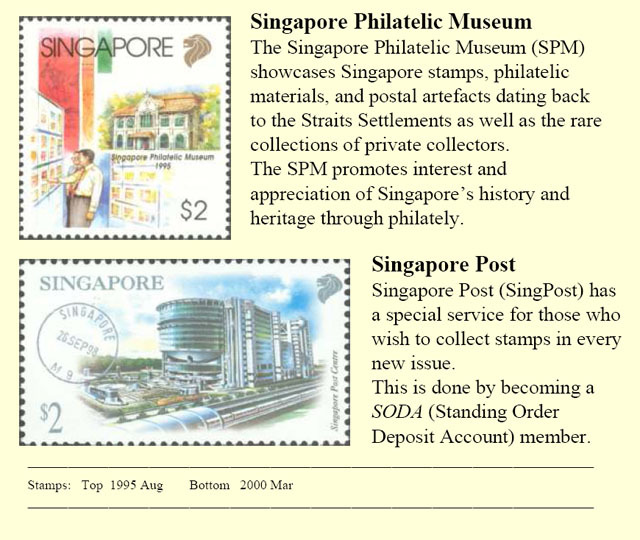 The Singapore stamps here show three of his stories. Do you know the titles of these three stories? Our favourite story, “The Emperor’s New Clothes” is about the VIP parading around in his underwear. Ha! Ha! Stamps: 2005 Mar The three stamps shown here are from a set of four different stamps. 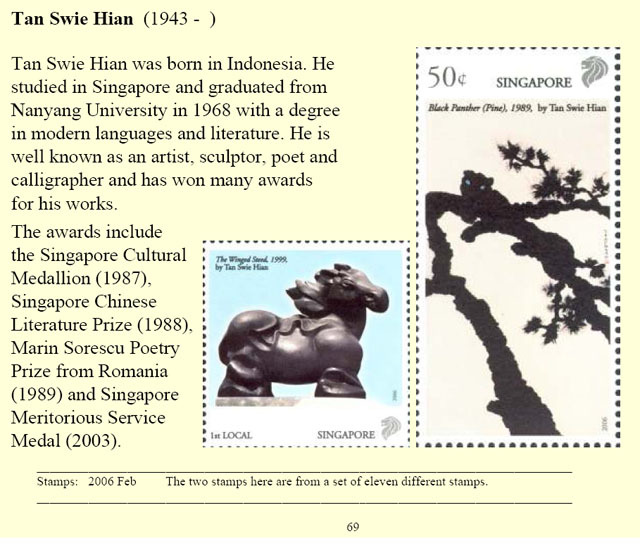 Tan Swie Hian was born in Indonesia. 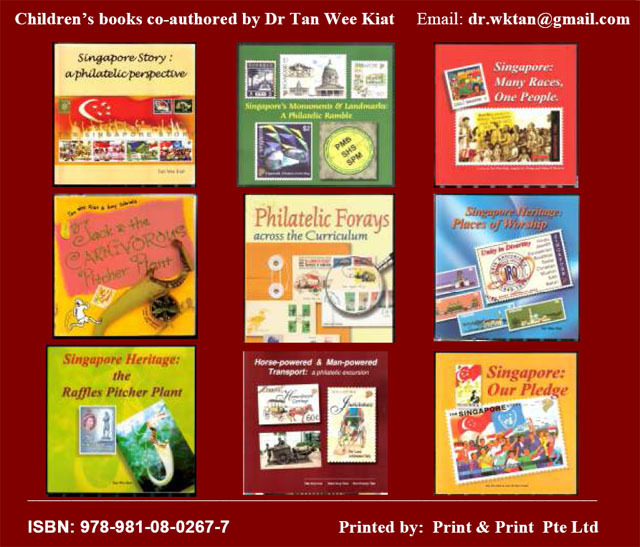 He studied in Singapore and graduated from Nanyang University in 1968 with a degree in modern languages and literature. He is well known as an artist, sculptor, poet and calligrapher and has won many awards for his works. 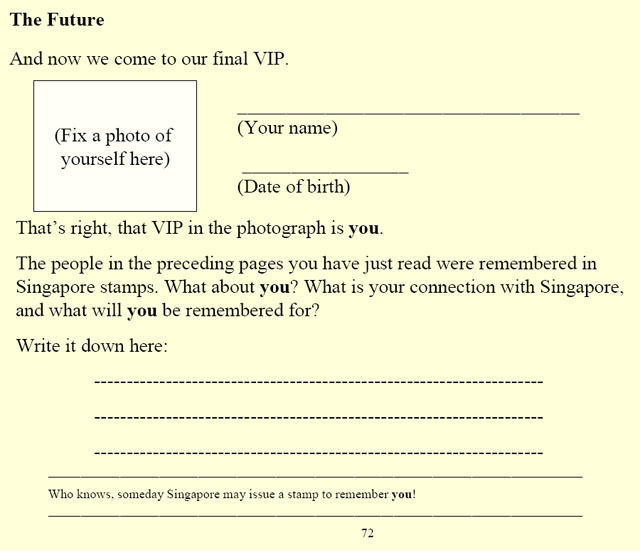 The awards include the Singapore Cultural Medallion (1987), Singapore Chinese Literature Prize (1988), Marin Sorescu Poetry Prize from Romania (1989) and Singapore Meritorious Service Medal (2003). Stamps: 2006 Feb The two stamps here are from a set of eleven different stamps.